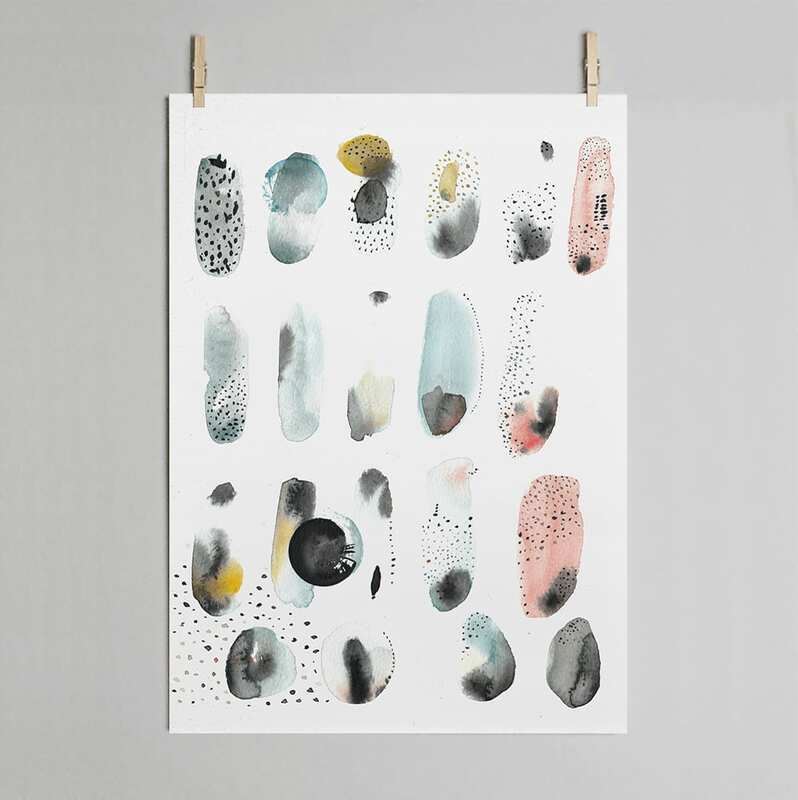 Speckle Print Nynne Rosenvinge. Offset printed on 200g uncoated Munken Pure paper (archival quality, FSC certified). Produced in Denmark under the Swan certification system. This watercolour design gets its own lively and modern expression through the mix of soft-toned painted elements .